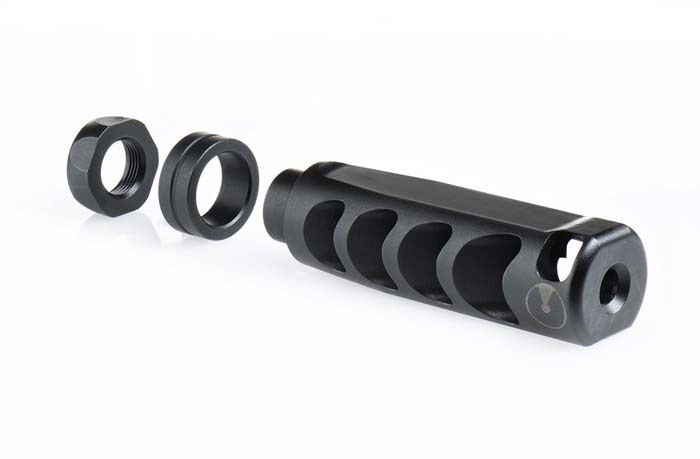 The C4 Dynamount Front Sight / Athena Linear Compensator Combo features the innovative C4 Dynamount Front Sight which ensures superior accuracy by mounting to the barrel instead of a free floating handgaurd along with extending the firearms sight radius. 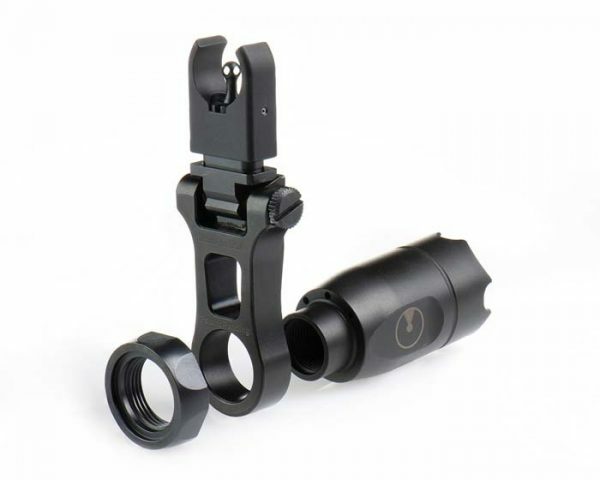 Additionally, the purely concentric circle-within-circle sight picture of the C4 Sight System allows the shooter to see the target not cover it, enables faster sight acquisition, reduces the effect of parallax and gives the ability to consistently shoot accurately at tagets that are close or at extreme distances. Increased flexibility by having windage and elevation along with the ability to index at 45 or 90 degrees make this sight the best on the market. 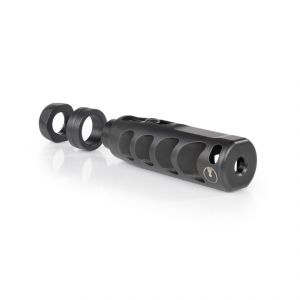 Paired with the Athena Linear Compensator that provides a reduced sound signature which sends a lower percent of sound back towards the shooter, optimizing sonic performance over recoil. 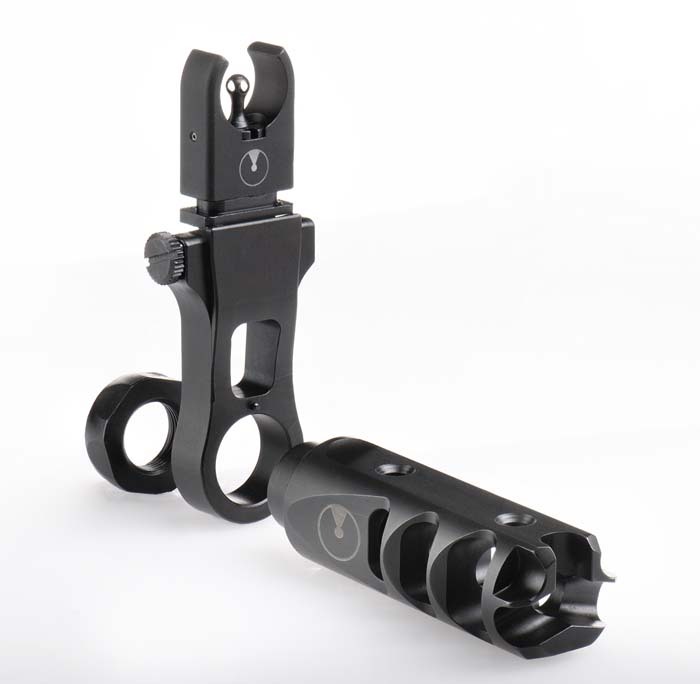 Most of the time, shooters mount front sights on the picatinny rail of a free-float handguard. 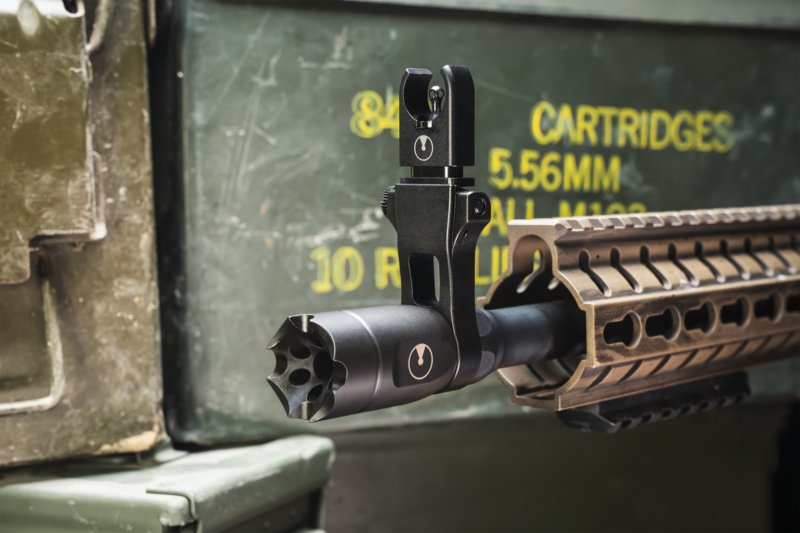 By definition, a free-float handguard doesn’t move with the barrel. 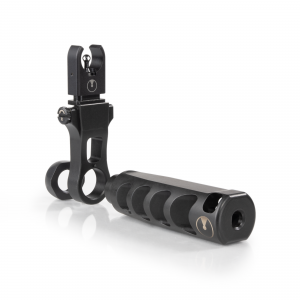 This means that when the handguard moves, the sights do too. Even properly-installed handguards move, whether it’s from the weight of the firearm, a strong grip, or impact. 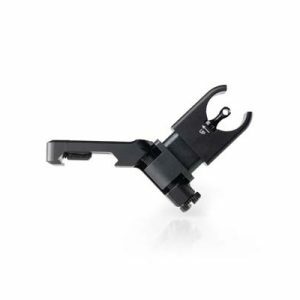 Especially at the end, farthest from the point of attachment, and where most users mount sights. A small amount of movement can make a big difference in point of aim. Movement as little as 0.01 inches at the handguard means almost 2 inches at 100 yards. The solution is Dynamount. 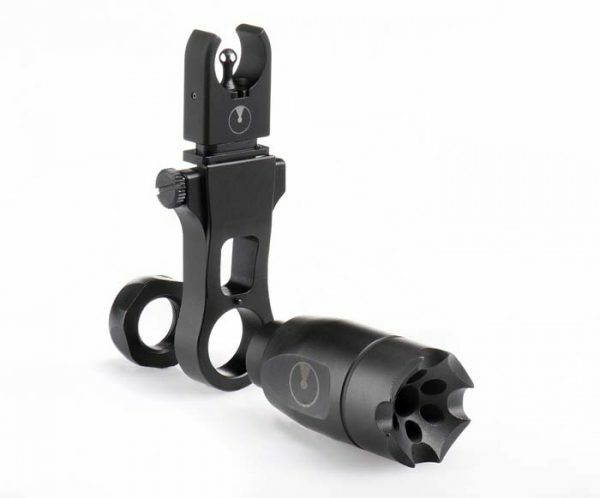 Barrel-mounted sights for consistent aim, every time. 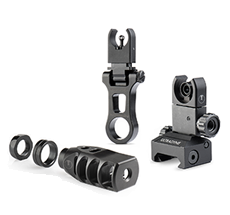 The Dynalign sight picture provides more accurate and faster target acquisition, using a purely concentric sight picture that is similar to that used by Olympic target shooters. Unlike red-dot or holographic sights, this sight picture does not obscure the target and actually enhances visibility due to the optical characteristics of apertures. 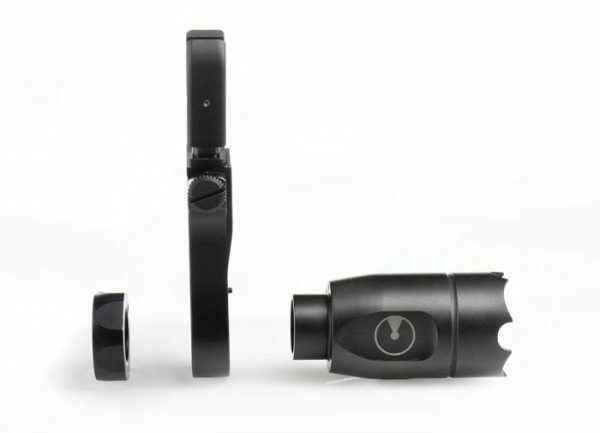 Most BUIS systems utilize a sight picture that is non-intuitive. The brain’s visual systems are asked to align a circular rear aperture with a rectangular front post shape while simultaneously ignoring the “ears” that protect the front sight post. Dynalign’s circle-within-circle sight picture allows for faster sight picture acquisition. 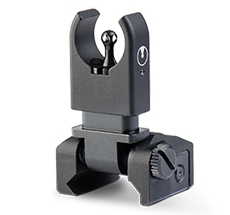 Additionally, the use of a front aperture further reduces parallax effect which makes accuracy less dependent on precise sight alignment. 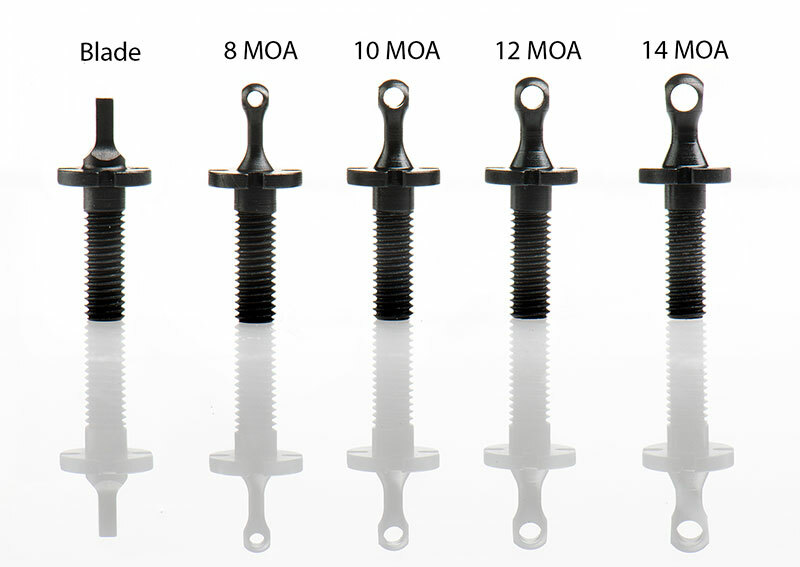 Ultradyne exclusive alignment for accurate and immediate acquisition. Regain full range of rear windage adjustment and guarantee center-zero operation. Make hassle-free adjustments anywhere, anytime. Dynamount allows the user to install in either standard upright or offset configuration. 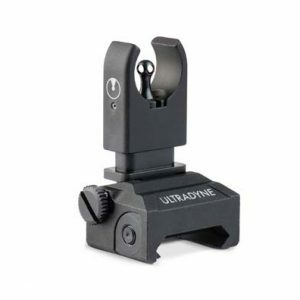 Includes 12 MOA Dynalign aperture.